You are here: Home / Blog / Featured Blog Posts / What is the weather like on Maui? This has to be one of the more frequent questions I receive, or as a variation, “What is the weather like in May?” It is almost irrelevant as the weather on Maui is pretty similar year round. January vs. July vs. April vs. August and so on. Being located just 1400 miles north of the Equator, inside the tropics, Maui and all of Hawaii receive a lot of intense sun year around. Without much movement when the Earth tips from Summer to Winter Maui’s weather stays between 78 – 83°F for highs and mid to upper 60°Fs for lows (near the ocean). To see an average forecast for a specific month, check out Glenn’s Hawaii Almanac. But rather than time of year, the question really should be: what is the weather like in Hana? Or UpCountry? Wailea, Lahaina? 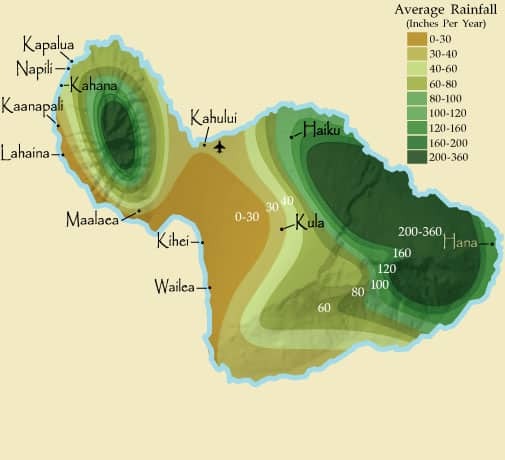 As you can see below, the precipitation on Maui varies based on where you are located. As you can see rainfall can very from one side of Maui to the other. On top of location, we asked MauiNow’s resident Meteorologist, Malika Dudley (@MalikaDudley) to fill us in a little about Maui’s unique weather. To paraphrase, when the trade winds are blowing, the north / east side of Maui gets the regular rain, while the south / west side gets lots of sun. This is one reason we love the Wailea area – typically dry and sunny! One thing that is neat about Hawaii, is that almost every climate found in the Northern hemisphere can be found in Hawaii. 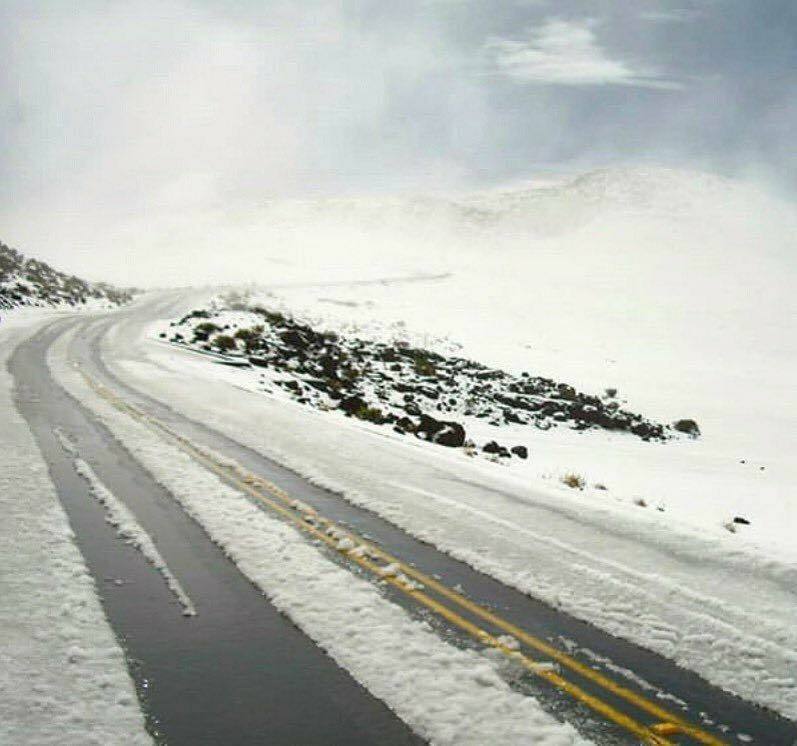 Yes, even some snow as this week’s #PolarVortex was able to put some of the white stuff atop Haleakala. Looking to learn more about Maui’s weather, check out our page dedicated to Maui weather.